Google to introduce second version of Chromecast streaming dongle | What Hi-Fi? 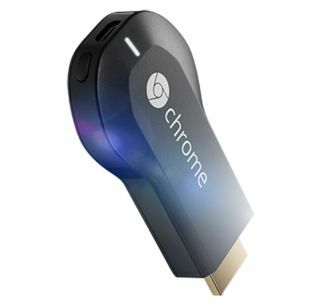 First launched in summer 2013, Google's Chromecast is among the wide range of products that has made video streaming such a big deal in recent months – and now the second edition is on its way. Speaking at Gigaom’s Structure Connect conference, vice president of product management at Google – Mario Queiroz – revealed that the dongle's cast button had been "tapped" around 650 million times. And, in addition to its apparent popularity with viewers, Chromecast is also proving popular with developers after Queiroz said there were more than 6,000 developers now building over 10,000 Chromecast apps. It's little surprise, therefore, that Google wants to capitalise on that popularity by releasing a new version of the Chromecast – and it's coming, according to Queiroz and documents filed with the FCC in the US. But, says Gigaom, Queiroz "wouldn't say much" about the plans for the updated Chromecast. He instead spoke about "building an ecosystem of different endpoints" in which the dongle is one of those endpoints. Queiroz was quoted as saying: "We really want to bring the richness of this first screen–second screen experience to life. The hardware capabilities will give us a better opportunity to take full advantage of a large screen paired with a small screen."